Besides maintaining its quality & flavour for over 40 years since it first opened, my favourite stall now uses more attractive & informative packaging. They even have Facebook, Twitter, email & SMS line to accomodate your critiques or suggestions and also a scannable QR Code via which we can find its menu online! For a makeshift stall that's 40 years old, keeping up with modern communication technology is a requisite to stay ahead of the pack. With so many permutations of fillings offered (eg: Chocolate, cheese, raisin, banana, peanut, cashew nut, sesame, etc), you'll be spoilt for choice! 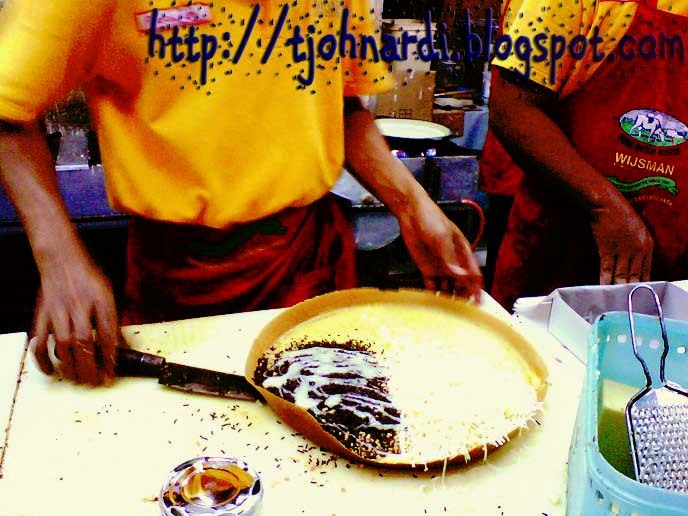 Lucky they 2 in 1 pancake for the most popular fillings, like what I ordered: 1/2 Choco-Peanut & 1/2 Cheese. I've previously tried it's 'martabak telur' (aka: the fried savoury pancake) with mushroom & chicken filling, it was equally addictive! Looks devilishly good! guess I gotta try this one! 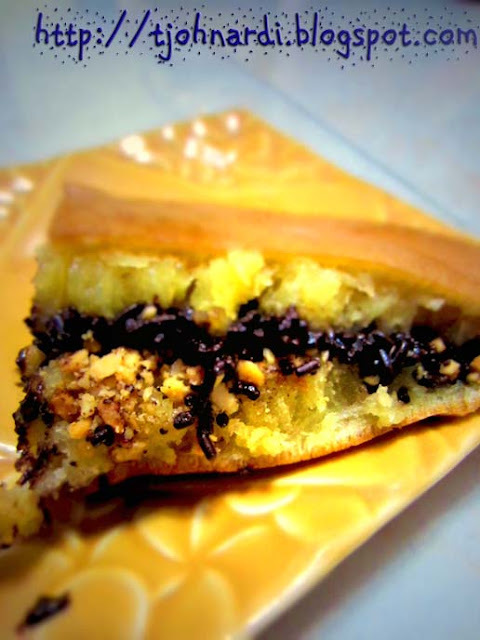 THIS is the pinnacle of martabak manis. 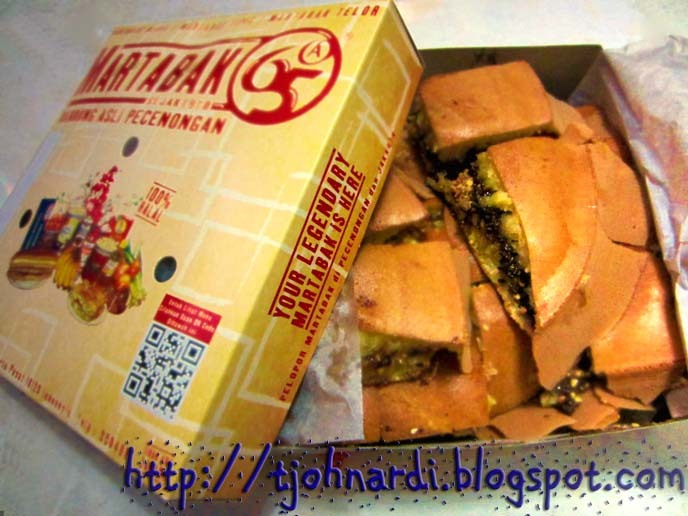 I remembered one night when my fellows and I bought a "setengah cokelat kacang stengah keju + whisman" martabak, intentionally for our supper. But the aroma was soooo enticing til we had no choice but to stop by the street and got the whole martabak finished in a whim. LOL! 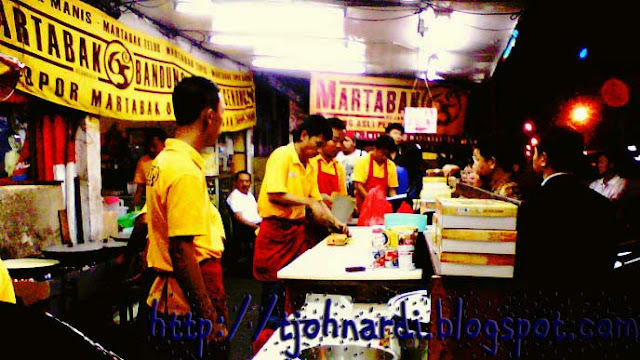 My favorite and a must every time I go back to Jakarta. Salivates looking at the photos!!! Nom nom nom!